Believe it or not, even with oily skin I'm still at risk of feeling like I've overwashed my face. Mornings are the worst for me - after using Curology my face generally feels "normal" in the morning vs dripping oil like a grease canister. 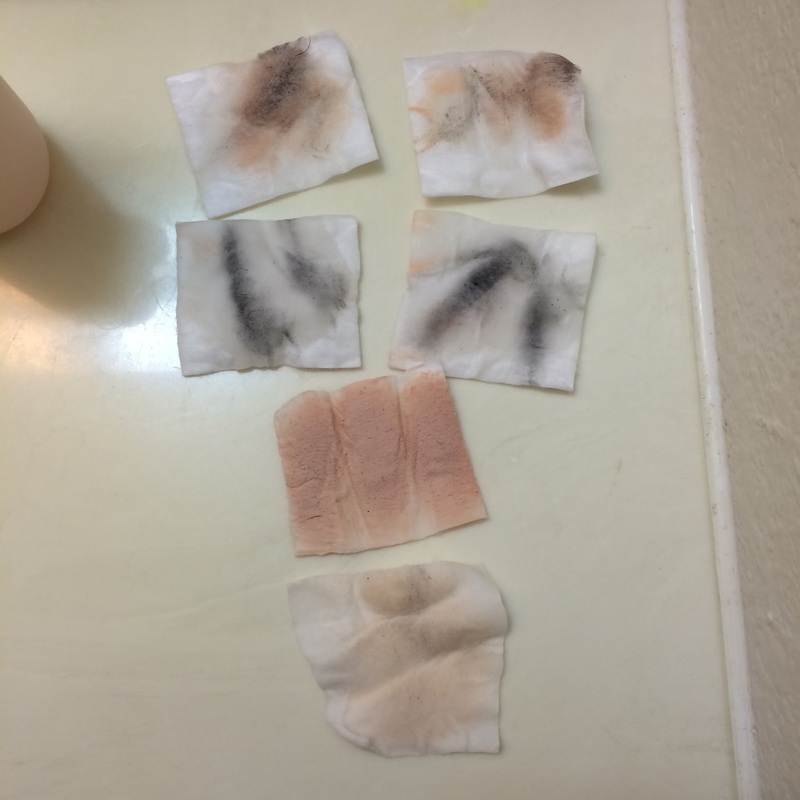 This is a great feeling for me, except that if I wash it in the morning when it's not super oily, my skin ends up feeling more on the dry side all morning, if not all day. So it was then that I set out on my quest for a cleansing water. Not only was a cleansing water an ideal solution for minimal cleansing, but also for mornings and evenings when I just didn't have the ambition to fully cleanse my face as well. 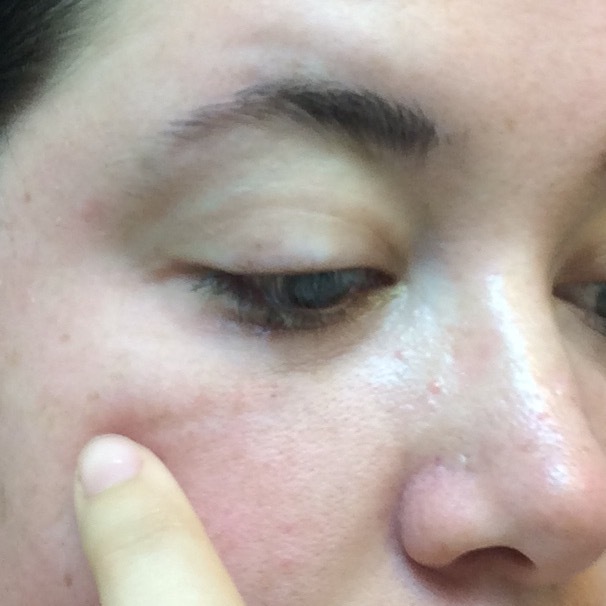 I've tried a couple others that my skin didn't particularly care for. This was my most anticipated from the three cleansing waters I started out with, and luckily for me - the illi Total Aging Care Cleansing Water became just the skincare unicorn I had been looking for. Illi is a brand boasting hanbang ingredients - bringing a collaboration of fermented herbal goodness to your skin, christened with the most amazing scents you could imagine. Well, that's my personal opinion anyway - not everyone will enjoy these scents, but even with my susceptibility to migraines the Total Aging Care Cleansing Water (and other illi products I've tried so far) smells like heaven in a bottle and I find myself seeking out more items to try. If you are unfamiliar with cleansing waters, they are a water infused with mild cleansing agents that do not need to be washed away. When applying them to cotton you can simply wipe away makeup, sunscreen, dirt, and oils - leaving behind skin that feels moist and refreshed. This water is no exception, and is even infused with other vitamins and minerals to soothe and protect all skin types, including sensitive skin. Camellia sinensis (green tea) provides powerful antioxidant benefits that ward off the effects of aging. It's also an anti-carcinogenic that can minimize the damaging effects of sun exposure. It is also an anti-inflamatory in addition to minimizing the appearance of fine lines and wrinkles. Camellia japonica also provides antioxidant effects as well as omega and vitamin-rich hydration that is beneficial for anti-aging. While strong signs of aging are not a current issue for my skin, camellia is at the top of my list of requirements to slow the visible signs of aging as much as possible. 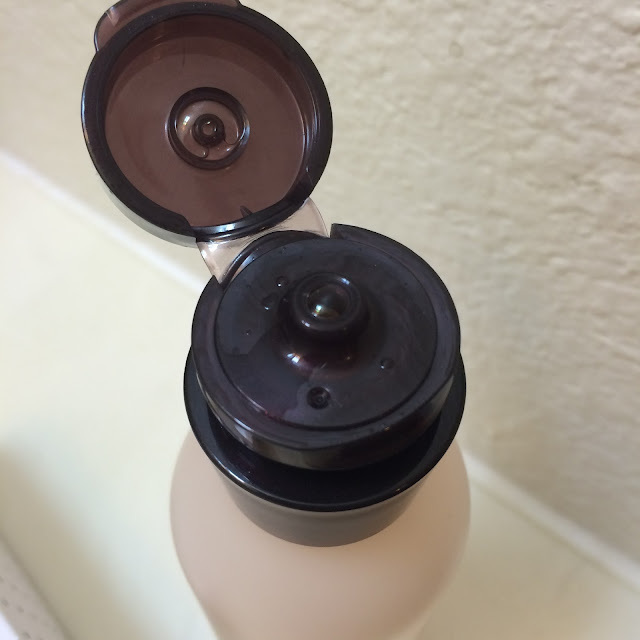 The illi Total Aging Care Cleansing Water comes in an easy to dispense, flip top plastic bottle. 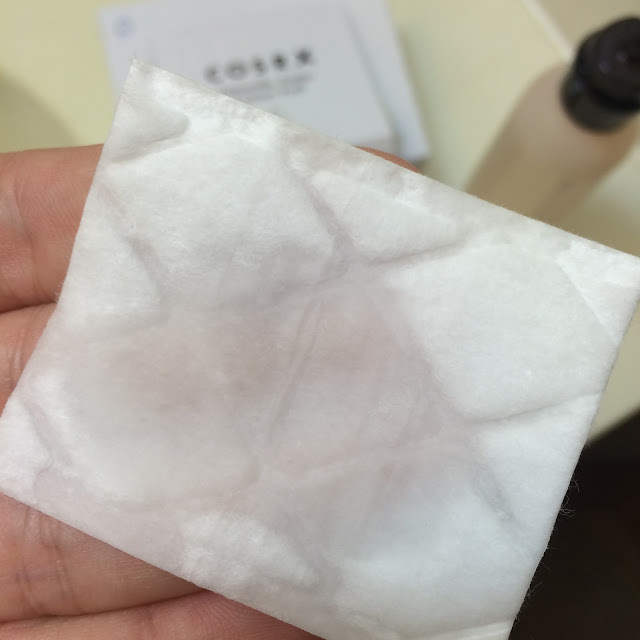 It's simple to squeeze or even just shake a small amount out onto a cotton pad. The water is liquid - just as any other water is - but it has the most intoxicating scent. The camellia, and what I imagine is added fragrance, gives this cleansing water a light floral scent that is sweet with an undertone of honey. The oil and glycerin gives it a nice amount of slip. To use, I saturate about half of a cotton pad. In the photos below I am using the Cosrx cottons. My face doesn't look the best here, but this is my full face of makeup after a whole day. I tried a new cushion out and it stayed fairly well, aside from the constant nose-blowing that accompanied the allergies I was dealing with at the time. ...and it passed! Not only did I not have any clogged pores or new acne the following morning, but I only had minimal waterproof mascara left behind in my lashes. 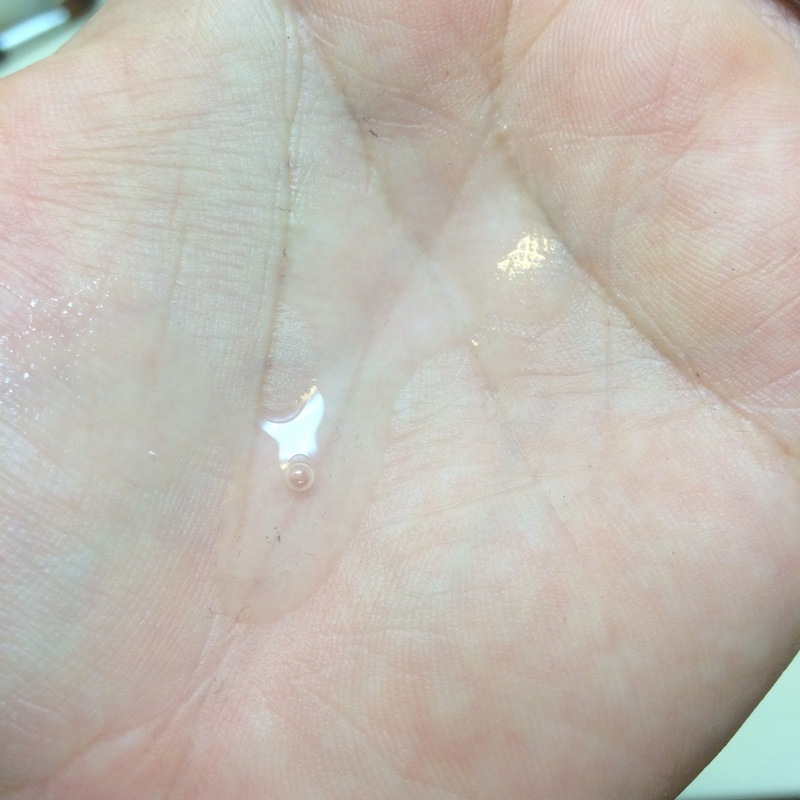 I usually have this even after oil cleansing, as sleeping allows my eyes to work this debris out overnight, so I'm really impressed that a cleansing water worked this well. So, as I mentioned at the beginning of this post, this really has become just what I've been searching for. I use it to cleanse in the morning, and I use it to cleanse most nights now as well - since I haven't been leaving the house in this intense heat. The scent is sometimes all I need to feel better after a long tiring day. 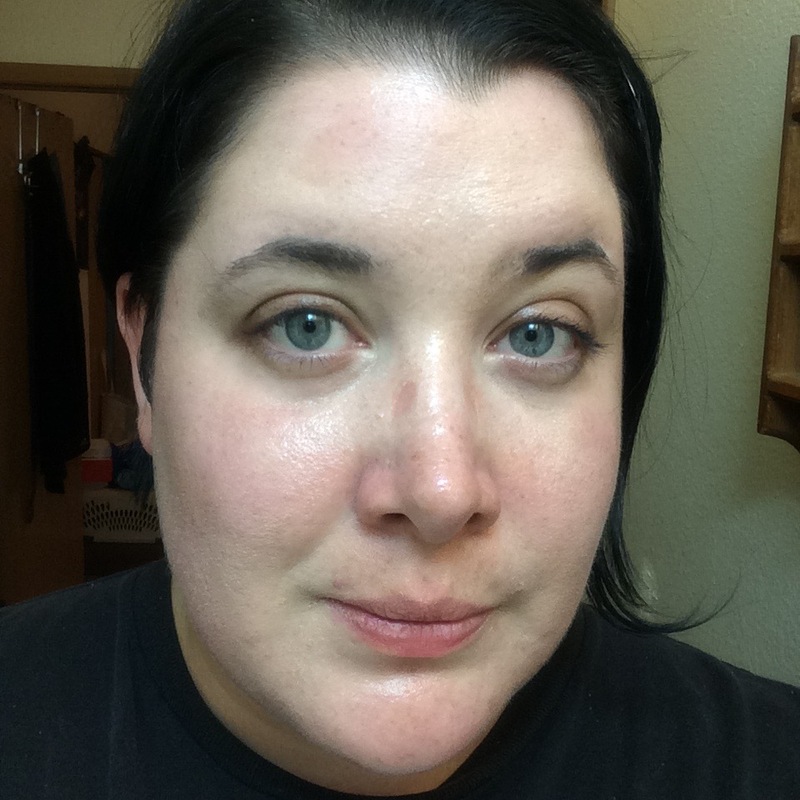 And the cleansing power and smooth feeling my skin has afterwards is bringing back a glow I thought I'd never see on my face after I turned 30. 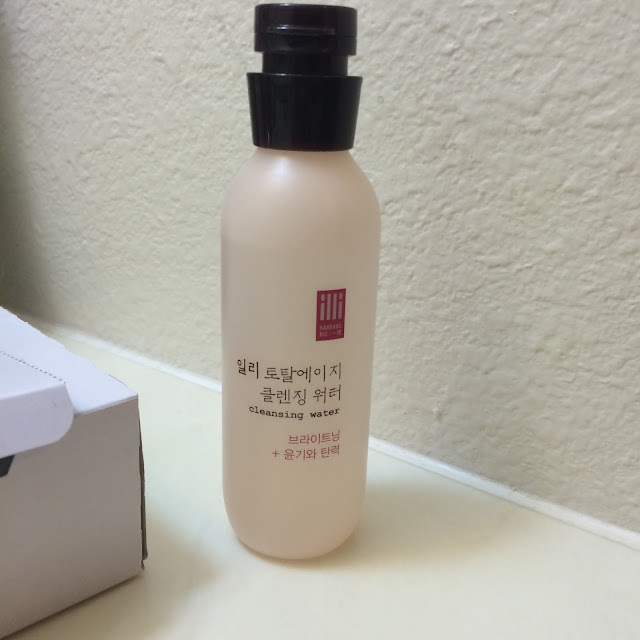 I feel confident calling this my holy grail cleansing item right now. 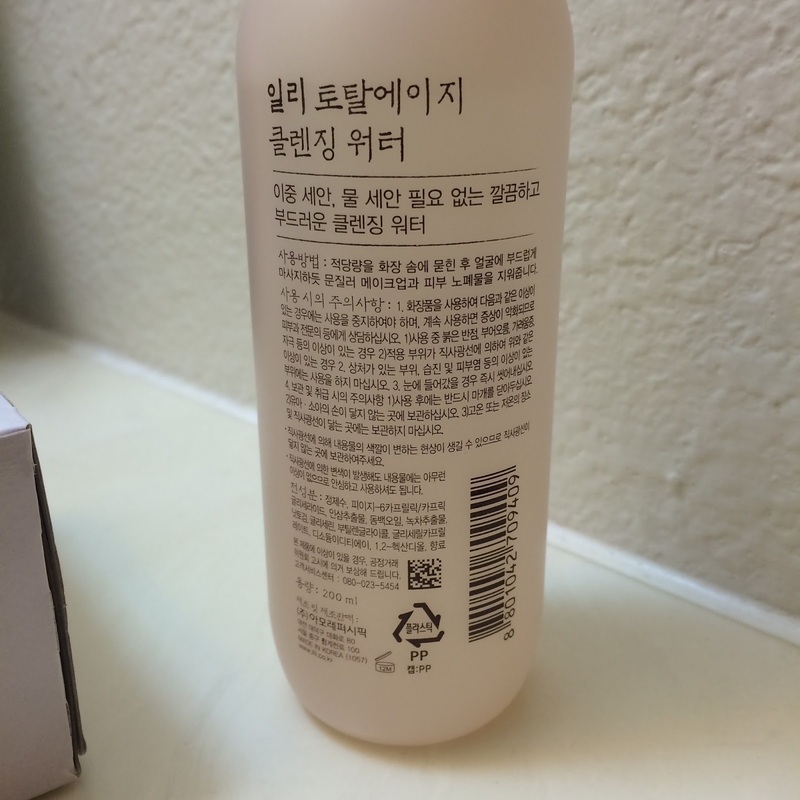 I purchased this cleansing water at Memebox, but you can also find it at ViaSeol and W2Beauty. I've never heard of cleansing water before. It's great that you found a product you are happy with.